Lots of people have been complaining that the BB10 sub stopped working with tweakware. So Today i decide to Test the VPN to Know what the PROBLEM is and got around fixing this PROBLEM. The Fix to the Problem is really so simple. 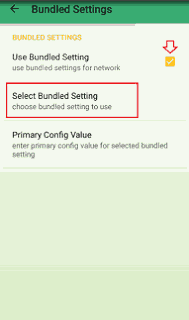 coupled up this post on How to use Etisalat BB10 sub on android device and other devices. Now all you need to do is upgrade your old Tweakware to the latest version the company hasjust released, that's the New version 3.0 which is now available on Playstore or tweakware official website. That will Automatically enable you to keep on rocking your Etisalat BB10 onyour android devices. If you have finally gotten a way to updated your Tweakware VPN app, you will now see Etisalat BB10 on the list of available tweaks.This is One advantage Tweakware has over all other vpn apps we used for Tweaking. already pre-configured for each tweak available so you don't have to stress your self of configuration. Just select the tweak you need and wait for successful BOOM!!! This means you can now use Tweakware to power all your Android phone apps. This has been tested and Confirmed Working Perfectly. So no more complaining please. just updated your VPN and that all. I have provided some direct download link below to upgrade your tweakware version now and enjoy Etisalat BB10 sub on your android devices. it was working with the free servers.So for now, you don't need to be a premium user on Tweakware before rocking this. Download Links are below. >> Download Latest Tweakware Google play store. You might be limited to using only 150-200mb per day because you are not a premium user. But You've already know we will always providea way out. I will advice you read this post to the last paragraph. Because i have written a complete guide on how to bypass tweakware daily 200mb or 150mb limit. 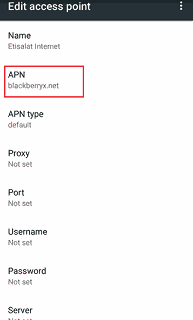 set your apn as blackberryx.net and leave Proxy and Port blank. » Now go back to the tweakware app home and click Connect and start enjoying your bb10sub on your android devices. How Can I Bypass Tweakware 150mb Daily Limit? NOTE=> Your phone must be rooted. No matter your device Brand Samsung, Tecno, Infinix, iTel, Gionee, Innjoo, Xiaomi, or any other android device. You device must just have to be rooted first before you processed. And if you have ensured your device is rooted, Now you can processed, just follow the steps below to bypass Tweakware daily 150mb allocation. Step 1: Download Device ID changer app from Google play store. Step 2: After you have successfully downloaded the app, install and launch Device ID and it will request for permission, just grant it root permission. Step 3: Now, Lunch your browser and start browsing till you reach the tweakware daily limit using the free server and immediately disconnect the tweakware app and return back to the deviceid changer application you downloaded and installed. Step 4: It will be more advisable you to backup your original android id (this is necessary in case your devices is still on warranty and you might want to return it for one reason or other). Step 5: After backing up or note down your android phone original ID, Now you are set to generate another random ID you will use for tweakware. Just tap to random ID from the application. Step 6: A New IP will be generated by the Device ID changer app. Now that the random IP has been generated, now return to your tweakware and connect your tweakware vpn andenjoy the free servers again. CONCLUSION..Here is the trick Anytime you use up the 150MB daily limit on the free servers, All you have to do is just follow the above steps and Continue repeating and the limit would be bypassed, You will enjoy the free servers unlimited. Drop your comments for any question.